Even though 4K monitors are dropping in prices lately, most of them are only up to 28-inches in size while everything bigger is still over $600-700. The AOC U3277PWQU, however, is an affordable 32-inch 4K monitor with a VA panel that delivers a high-contrast image quality and smooth performance. Unlike its similarly named predecessor the AOC U3277PQU, the AOC U3277PWQU features a TN panel instead of the IPS which results in a superior static contrast ratio of 3,000:1. The image quality is hence more lifelike and vibrant due to the better relation between the dark and bright colors as well as due to the ability to display black shades in more depth. 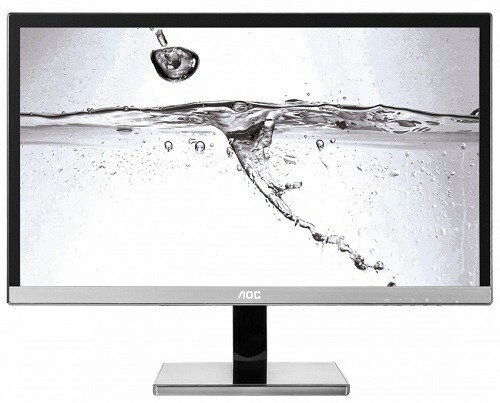 The AOC U3277PWQU display offers true 10-bit color support covering 100% of the sRGB color gamut. Along with the monitor, you will also receive a piece of paper with brightness uniformity report (99-101%) and color accuracy details (sRGB Delta-E 1.11). The 4K Ultra HD resolution on a 31.5-inch screen size results in a generous pixel density of roughly 139 pixels per inch. Those used to sitting a bit further away from their display may want to scale the interface by 125-150% in order to increase the small desktop items such as text to a readable size from distance. By doing so, you will have the screen real estate approximately equal to that of a 1440p resolution on a 27-inch monitor though with more crisp details. The AOC U3277PWQU VA panel monitor offers a quick response time of 4ms with gray to gray pixel transition. In some fast-paced games, ghosting was present but to a tolerable degree; in the everyday use, it’s not visible at all. There is no screen flickering as the screen doesn’t use PWM (Pulse Width Modulation) nor is there any noticeable backlight bleeding. Obviously, the AOC U3277PWQU is by no means a gaming monitor but video games still look ravishing due to the vibrant colors. However, it’s not recommended for competitive games as it offers rather mediocre input lag of around 34ms. Besides, if you’re into competitive gaming, you can get a high refresh rate monitor with variable sync technology for the same amount of money, albeit with a lower screen resolution. 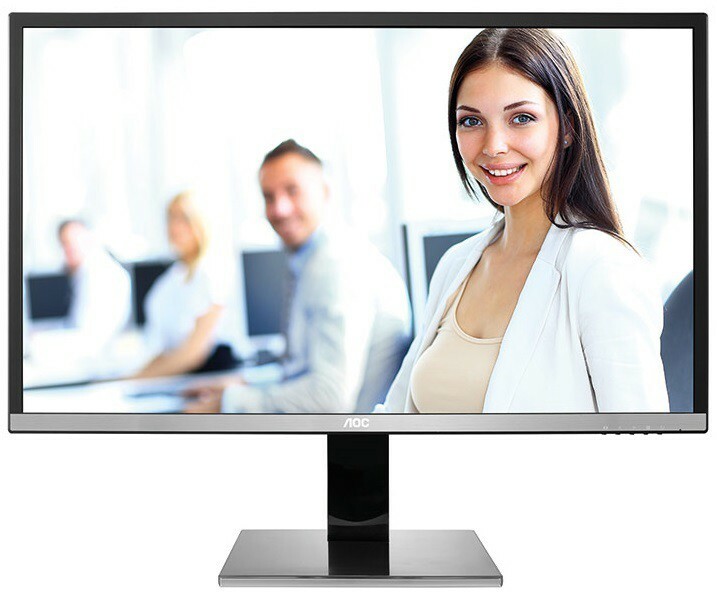 The AOC U3277PWQU 4K monitor features three software applications including Screen+ which consists of 16 different layouts with divided screen space into multiple windows for simplified multitasking. The i-Menu allows you to adjust OSD (On-Screen Display) settings in a desktop application rather than by OSD buttons, and lastly, the e-Saver provides you with the ability to automatically shutdown the monitor when your PC turns off as well or goes to sleep/screensaver mode, etc. There are five OSD buttons placed at the right side of the bottom bezel which can be used as hotkeys to change the input source, enable the ClearVision feature, adjust volume, open the OSD menu, and to turn on/off the monitor. The ClearVision feature can sharpen low resolution and blurry images. In the OSD menu, you can adjust contrast, brightness, sharpness, three levels of gamma, and four levels of OverDrive settings if you wish to modify the response time speed, although reverse ghosting starts to appear at the fastest settings. Additionally, you can manually configure red, green, and blue color levels as well as color temperature settings. There are Picture in Picture and Picture by Picture modes available as well several pre-calibrated picture presets such as Text, Internet, Game, Movie, Sports, a Standard mode, and the Uniformity mode. 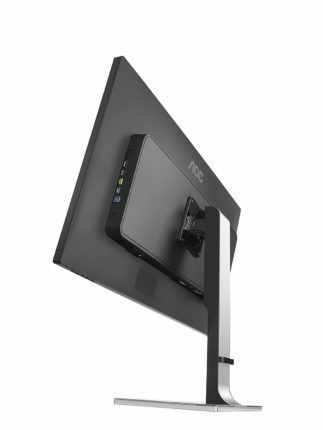 The AOC U3277PWQU monitor offers impressive connectivity and ergonomic options. Connector ports are as follow: a VGA, a Dual-Link DVI, an HDMI 2.0 with MHL support, a DisplayPort 1.2, two USB 2.0, two USB 3.0 (one with the fast charging capacity), an audio line-out, and audio line-in for the 2x3W built-in speakers. The design consists of somewhat thick bezels which are 0.8-inches at the top and sides while the bottom bezel is around one inch thick. However, the bottom bezel and the monitor stand feature brushed metal which makes it look much more expensive and modern. The versatile base offers a generous 180mm of height adjustment, 165° swivel to the left and right, 90° pivot, -5/24° tilt, and 100 x 100 VESA mount. The bezels are reflectively glossy while the screen is covered with a matte anti-glare coating which eliminates the sunlight reflection but adds some grain to the image. The AOC U3277PWQU price amounts $499 at the moment (July 2017). 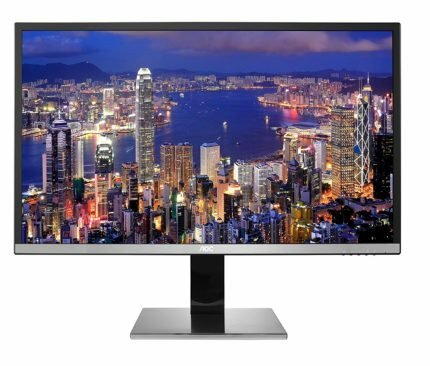 It’s one of the most affordable 32-inch 4K displays if we leave out the lesser quality Korean monitors. As we’ve previously mentioned, there are no similar products within this price range which makes this monitor quite cost-effective. In fact, there are no other 4K VA panels available except for the 40-inch and over monitors, however, there are plenty of VA panel ultra-wide displays. If you’re looking to join the others enjoying the 4K content on their 4K UHD monitors but the cheaper 24″-28″ monitors are too small for your taste, the AOC U3277PWQU is your best choice which won’t break your bank. Well, at least not as the other ones would. 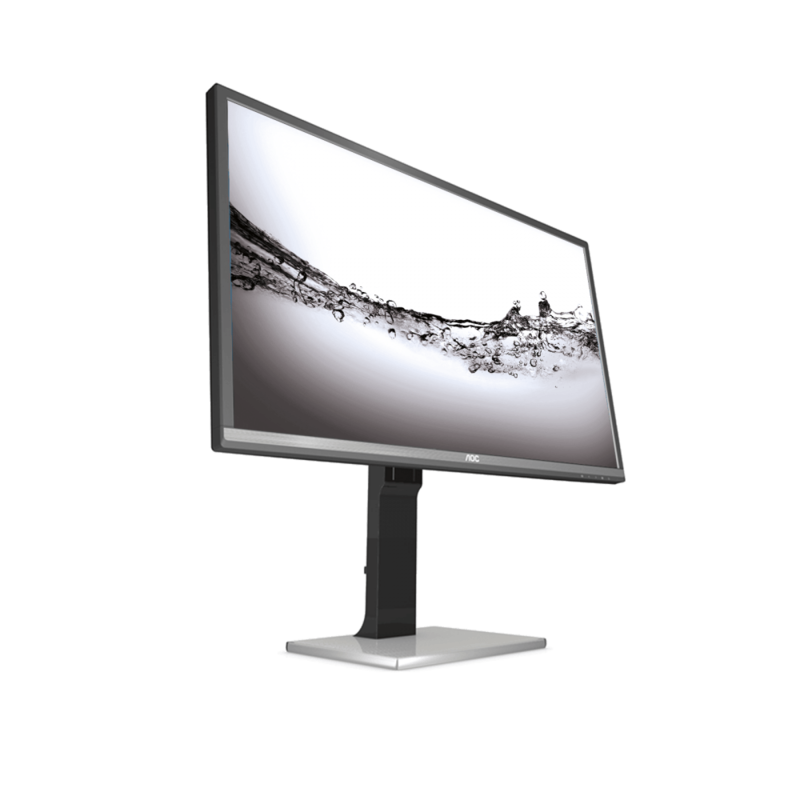 Overall, the AOC U3277PWQU monitor offers exceptional image quality with plenty of screen real estate due to its high contrast, vibrant colors, and 4K resolution. Moreover, it has full ergonomic support and extensive connectivity. Its only downside is the input lag although it’s more than satisfactory for casual gaming. Then again, if you’re looking to play competitive games, you’re better off with a lower resolution monitor with higher refresh rates and/or the variable sync technology. The AOC U3277PWQU is an affordable 32-Inch 4K UHD monitor. It offers a stunning image quality due to its 4K resolution and high-contrast VA panel. Moreover, it offers impressive ergonomic functionalities and extensive connectivity. Overall, it’s worth more than it costs.